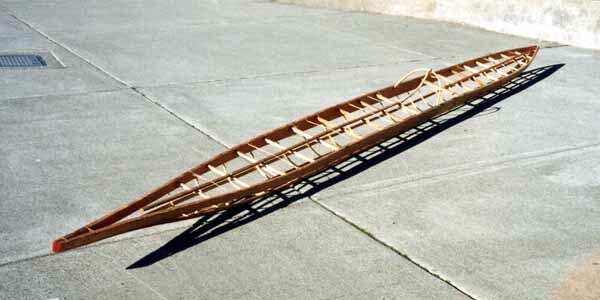 Replica of a ca.1914 Copper Inuit Kayak. 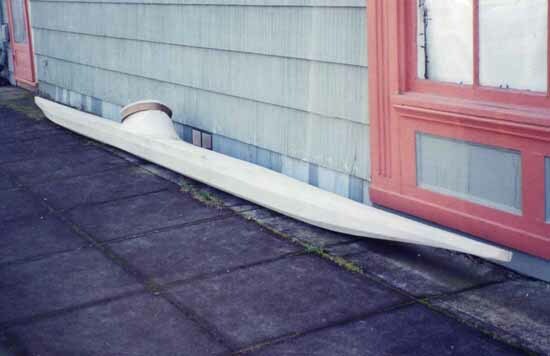 23' long, 15-3/4" wide. The lines of the original are published inEugene Arima's "Inuit Kayaks in Canada" (1987:200, fig.11). 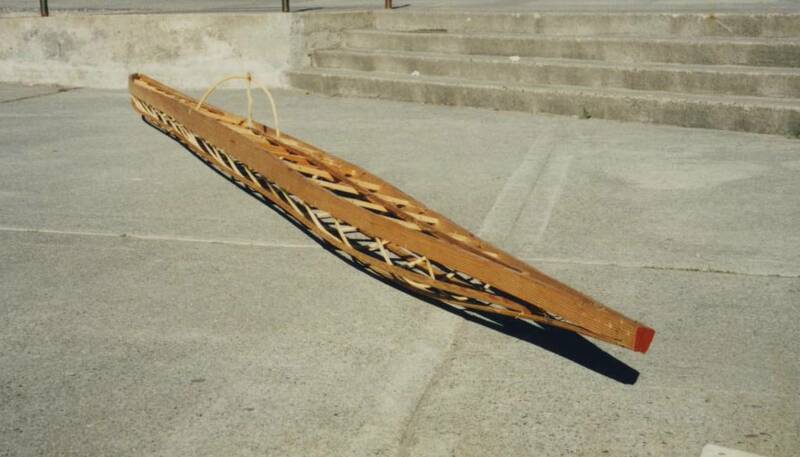 This was the second replica I built (1994-'95)-- an odd choice considering its extreme dimensions and likely challenging paddling characteristics. Despite the prospect, I stuck with this kayak until I felt very comfortable in it; It took a good while, however. This experience was profound and it peaked my curiosity about other unusual/extreme designs-- more significantly, it made me realize that I could learn to paddle them if I am patient and persistant.